A few days ago I watched a very interesting documentary on BBC2 which revealed 5 surprising secrets of better sleep I had never heard of before. If you are in the UK you may have watched it too. The program was screened for the second time under the title "What Makes Us Tick?". I love a good documentary and am selective with what I spend my time on. This one made me stop doing what I was doing and watch it from the beginning right to the very end - with my mouth open! The documentary was an hour long and focused on helping 2 couples who needed help with their sleep. There was also an interesting experiment conducted on an ex-SAS soldier who was placed in a nuclear bunker to help the researcher better understand and demonstrate how lack of daylight for an extended period of time affected our sleep. I took notes of the 5 most important points (and many sub-points!) which, if considered and implemented daily, would help you get better sleep night after night. There are some points that I disagree with since the time for a large meal, exercise and sleep is determined by our biological clock and sleep habits. My guess is that some of the facts listed below are for those of us who are used to getting up in the morning - to get to work or because we are just early birds by nature. 1. 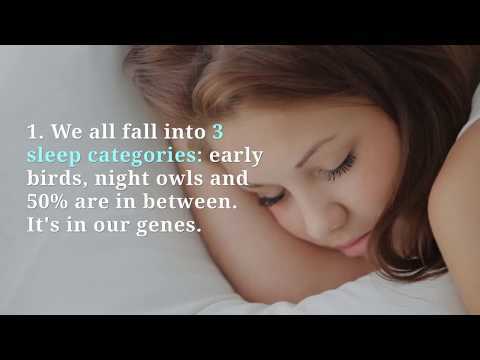 We all have our own sleep pattern and it's imprinted in our genes. There are early birds, night owls and 50% are in between these two categories among us. It doesn't mean that it cannot be changed, but the genetic factor is important to consider. 2. We all have a biological clock which takes care of our sleep time, awake time and time for all the other activities. At night our temperature and blood pressure drop as the body prepares for sleep. This happens because the body tries to preserve energy. At 4.30am the body temperature is lowest for most of us who sleep at night. Early morning is not a good time to exercise but is a great time for a large meal (As I've mentioned earlier, it depends on your sleep/ being awake habits, so I'd say it's true about early birds). Late morning between 10-12 is the best time for logical reasoning (same note as above). For physical exercise, late afternoon around 5 pm is best. Now, this could or could not be true for you. It's a good exercise time for me, but I am not an early bird. You need to determine your own peak time for physical activities. Late evening is not a great time for meals. From around 10.30 pm our digestion begins slowing down. Our cells need to preserve the energy for cell repair, not spend it on digestion. I'd say it's probably true for most people - except those who regularly work nights. Their biological clocks adjust to their day/night schedule. We think it's the physical clocks that control our lives but research shows that our internal clocks keep their own time and the body regulates its rhythms. How can we shift our biological clocks forward or back in order to take control of our lives? In order to understand it, the documentary takes us to the US where the presenter talks to a Nobel Prize winner geneticist and chronologist Professor Jeffrey Hall. He tells us about his research of the fruit flies and how they led him and his research partner understand the way the internal clock worked. While observing fruit flies he and his partner discovered that they had an elegant system which followed a 24-hour rhythm. Further research led to a discovery of 6 genes which are common in all living beings. The building blocks of all genes are proteins. The system which makes the flies follow the 24-hour rhythm is called Period. Each cell DNA contains it. The copying machinery within the cell nucleus copies the DNA that makes up the Period gene. These copies move out of the cell nucleus to make the Period protein. The next stage involves transportation of the Period protein into the cell by using another protein. When the concentration of the Period becomes too high, the production is switched off, the genes are destroyed and the whole process starts again. It's a very effective chemical clock which runs roughly over the 24 time period. Other scientists went on to prove that this system doesn't only work for fruit flies - it's common to all living organisms including humans. It's called the circadian clock - another name for the biological clock. Circadian clocks are not very accurate. However, according to Professor Hall, they are easily reset, and this is done every day. This is a critical feature of every rhythm mechanism - an ability to reset itself. Our biological clock uses daylight to reset itself daily. The Bunker Experiment conducted by the program research team has shown that when there is an absence of natural light the body clock becomes confused since it has no light to reset itself. The person in the experiment was getting increasingly tired and disoriented in terms of determining night and day and when he should be resting and being active. He became more and more tired and sleepy without light. The experiment shows that without light, our internal clock becomes confused between day and night and cannot reset itself. Light is crucial to the reset. It goes through our eyes, and the optic nerve passes it on to the hypothalamus to start the reset using a number of complex processes which results in the readjustment and us functioning according to the 24-hour rhythm. Every day our brain receives these signals through the eyes and resets the clock. An interview was conducted with an ex-serviceman who lost his eyesight during an assignment in Afghanistan. He didn't only lose his eyesight - his optic nerve was severed as well which means that unlike other bling people with a functioning optic nerve he received no signals at all. All he "saw" was darkness. As a result, he was feeling permanently tired with his internal clock working to its own schedule waking him up at any time which it "felt" was right. His biological clock could not get reset every day because it received no light signals. The conclusion is that our eyes aren't just an organ of vision - they are an organ of time. How much light we are exposed to determines how well we feel, sleep and function when awake. In another test, the researcher measured the amount of light outside and inside a car. The result inside the car was 1000 times lower. Even on a rainy day, we are exposed to more light than sitting outside, so it's important to spend at least 2 hours outside every day, no matter what the weather is like. When we spend too much time inside we don't get the amount of light our bodies have evolved for. This is why we have insomnia and all the bad stuff that comes with it. Professor Till Ronneberg of the University of Munich who took part in the documentary says that many people have problems coinciding their body clocks with the time they have to spend at work. As a result, they have sleeping problems, eating problems and so forth. The best thing to deal with it is to determine what body clock type we are or what work schedule we have. There is a term called "social jetlag". It affects late night sleepers. They go to bed late and wake up early so are chronically deprived of the sleep hours they need. In order to deal with this, they need to go to bed late, wake up late and be consistent about it. You need to expose yourself to light early in the day. This will allow you to get up early the next day. Avoid the blue light after sunset (this includes fluorescent lightbulbs, computers, TV, phone and tablet screens). Blue light blockers ensure that there is no blue light going through the eyes to give confusing signals to the brain. By blocking the blue light our brain is tricked into believing that it's far darker than it really is. It is important to expose ourselves to daylight in the morning if we want to wake up early and in the afternoon if we want to wake up late. 3. How to shift your body clock. Night owls who want to get up earlier need to have light curtains or curtains opened and get outside in the daylight during the morning. If night owls spend 2 hours outside every morning they can shift the body clock up to an hour a day. It's also important to cut down on light late at night. Tablets and computer screens are out unless the night function that turns the screens orange is used. Early birds who want to wake up later need to get bright light in the afternoon and sleep with thick blinds or eye masks to block the morning light. 4. How to work nights. Stick to the schedule around your sleep. Sleep during the day and do it regularly if your shift hours don't change. It's important to do it even on your days off. Changing routines messes with the body clock and affects health. Use an eye mask or thick blinds to block out the sunlight when you are trying to sleep. Wear blue light blocker glasses on the way home blocking light - unless you drive. Blue light from the sunlight, computer and TV screen will make you wake up. Living out of sync with the body clock affects people - when they travel or do shift work, or when the clocks change forwards and back. Every cell and body system in our body has a clock, and they are all synchronised to make us functional during the day. The clocks of different systems will all catch up at a slightly different rate. For example, our brain clock will take a different number of days to readjust compared to a stomach clock. Longterm, this misalignment affects the health of shift workers and jet lag sufferers. There is a strong link to mental health too. If you've got jet lag, you can't shift your biological clock by more than 1 hour a day, but you can use light in the absence of light to shift it as fast as possible in the right direction. Fly east, and on arrival, you should catch strong daylight in the morning. This will shift the clock to an earlier wake-up time the next day, which will be closer to the local time. If you go west - it's the other way round - you will need to get light in the evening in order to shift your internal clock to a later time. There are websites which will calculate for you the best time to catch light if you are flying to a place with more than 1 hour difference. Our life schedules force us all to live by the same clocks or the clocks which contradict our internal clocks. It's not how our bodies were built since we are all unique. But we can take control, and if we do that, we can live a happier and healthier life. Based on "What Makes Us Tick" - a documentary by Horizon, BBC2. P.S. 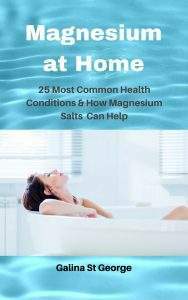 Make sure that you take sufficient magnesium in your diet. Supplement it if you feel chronically tired and cannot sleep. 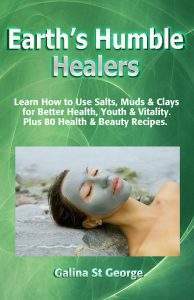 The best way to supplement magnesium is transdermally, by applying magnesium oil on the body daily. If you want faster results, book a Far Infrared Magnesium Wrap in London. I f you live outside the UK, learn how to do your own wrap at home by enrolling on our Transdermal Magnesium Therapy Course. 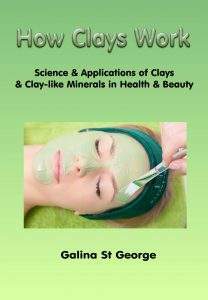 Alternatively, if you would like to find out what it is about, pick up the book which contains all the main course modules. You can then decide if you would like to do the course and get certified. Previous Previous post: How Much Should I Trust My Doctor?